You’d be looking forward to it for weeks. You’d be looking at the magazines to see what games could be in the arcade, and saving the pocket money for it. 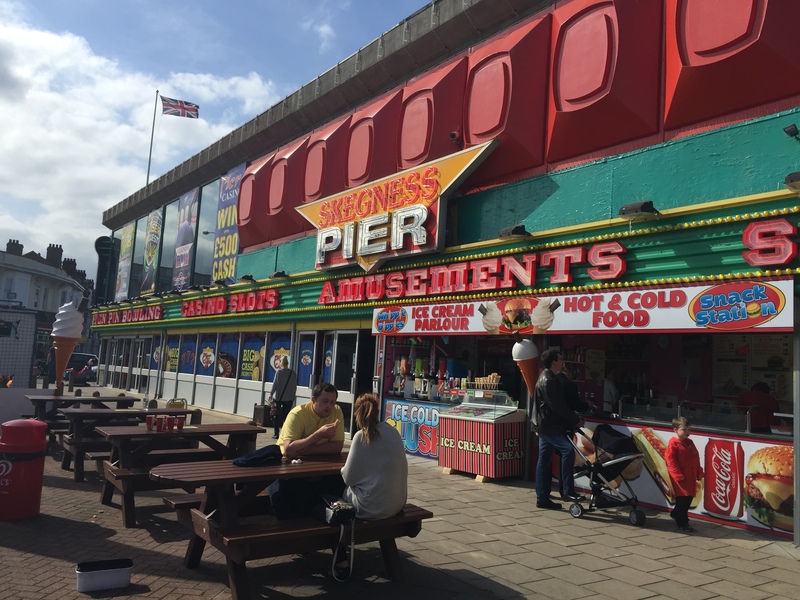 When you’d become closer and closer to the place, you’d get that smell of the beach, and the faint sound of that fairground theme becoming louder, and louder, and louder. You’d go to the place with the most flashing lights and the loudest sounds, but the one that gives you a good chance of going on the one you want to try as soon as you possibly could. 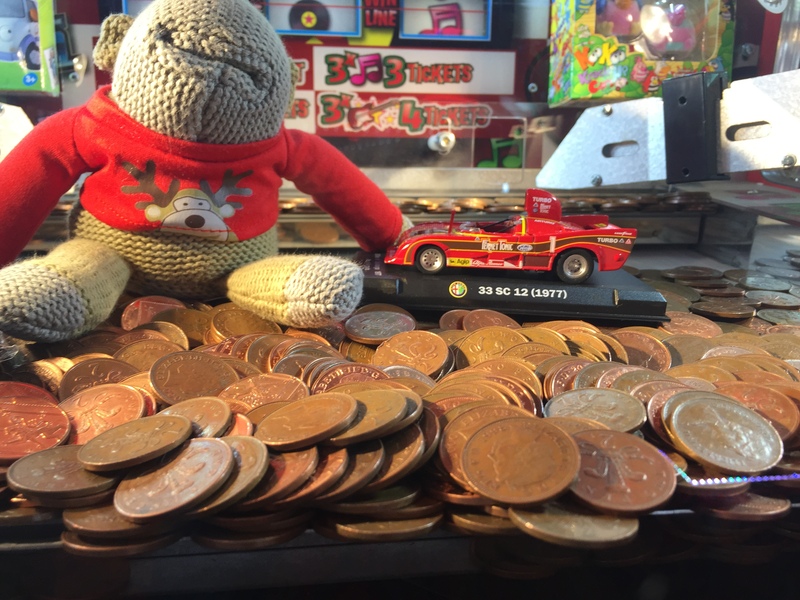 There’s never been an Arcade in Lincoln, and so the closest to experience one was Skegness. What I hadn’t expected, were games such as Doodle Jump and Flappy Bird appearing as arcade machines. Fifty pence a go, and you could try your luck at becoming the highest or the longest. It used to be when I could try games out for the first time, way before they’d be ported to a console. I remember coming across a Tekken 3 machine, months before it would appear on the Playstation, along with Marvel VS Capcom, Time Crisis 2 and Tekken Tag Tournament. It was always the way of using something before many on the playground would, so Tekken was always a plus. There also some that you’d see at the Arcade, and it would be the only place it was confined to. 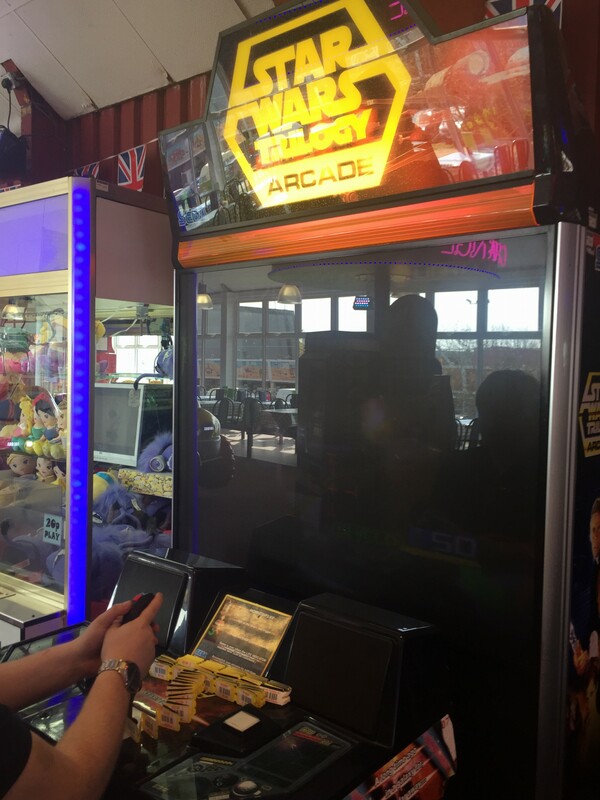 One example is Star Wars Trilogy Arcade. It was released in 1998, to capitalise on the Special Edition releases the year before, and had levels of all of the action sequences in the original trilogy. It comprises of three levels to start with, two bonus stages, and a final battle over Endor. All you have is a joystick front and centre, with an ‘event’ button for the prominent moments. It’s still one of the best Star Wars games around, and it’s a shame it hasn’t been ported to a console as a downloadable title. With emulators from the last article about consoles and their performance, there’s also been one for arcades. But, the machines could be vastly different from the next game beside it; there’s never been one system for all of these games to develop for. Developers such as Namco & Sega would make their own arcade hardware, and sell the game to the Arcades. This is where MAME (Multiple Arcade Machine Emulator) comes in. It contains hundreds of different types of emulated arcade machines, and by dropping a game or, ROM in, you could play the game you haven’t seen in years. Some users have even built their own arcade machines, which would house a PC with an old CRT monitor to properly display the games of their time, and stored with hundreds of games so friends could come over and join in. 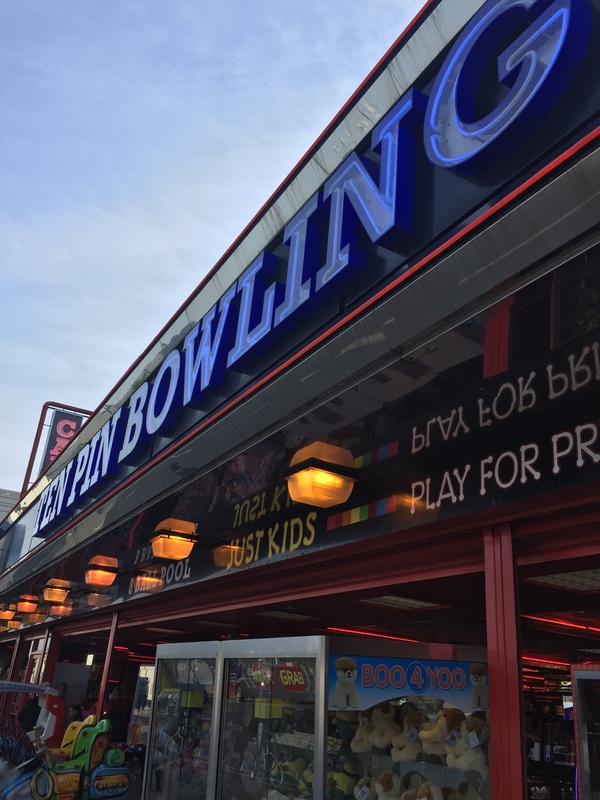 I hadn’t been to Skegness in years, and it felt surreal to be able to go into the casino sections, a place where I’d been forbidden to set foot in. Suddenly, I could use the 50ps for a vending machine. With the smoking ban since 2007, it still didn’t feel the same, as that was another memory I had from these areas, but I spent five minutes on one and then it was back to a basketball game. There were change machines for 10ps, and 2ps. 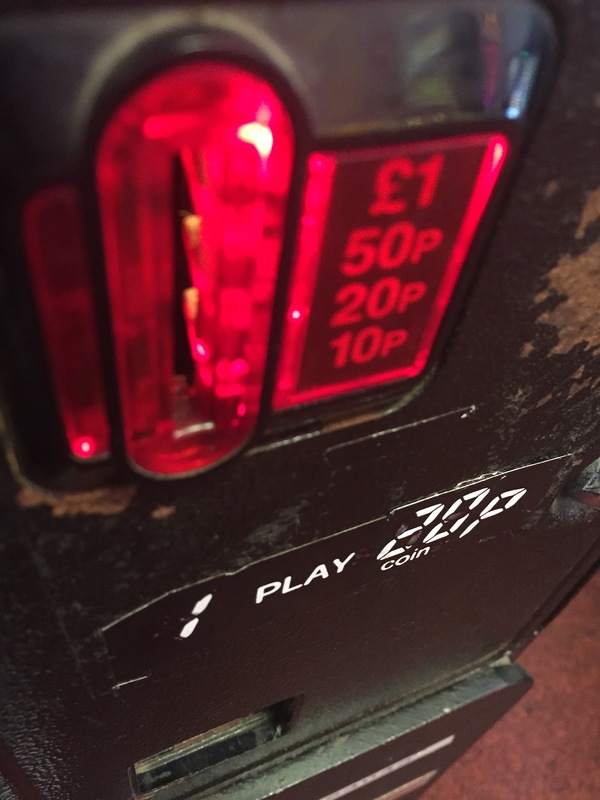 The 2p machines were still everywhere, and objects smartly placed on a row so there’d be less chance of coins to be dispensed. The horse racing machine was something I remembered, with gambling on white to always be the big gamble, but it was unfortunate that each one I tried were faulty. It was a fun time to be able to walk around, put a 50p in, and play. It was also, especially in this day and age, to find a game you’ve not been aware of. I had no idea Time Crisis 5 had been released, but after playing it, I was hoping they had stopped at 2. It’s another type that’s been classed as a relic to the 20th century. Developers still use Arcades to test their games out, something which Namco still does for Tekken. It’s seventh entry is being tested in Arcades across Japan, with one machine rumoured to be in London’s Soho area. In the end, playing a game without any distraction is welcome. You can’t pause it to reply to that Snapchat, you can’t save a 15 second video to post on Vine. You’ve also got to put effort in, otherwise the punishment is more money, while the reward is to get as far as you can on that one credit. It’s something I hope that still stays, but with Flappy Bird invading these areas, it could be an even rarer occurrence in the coming years. Emulation on a Macbook Air.